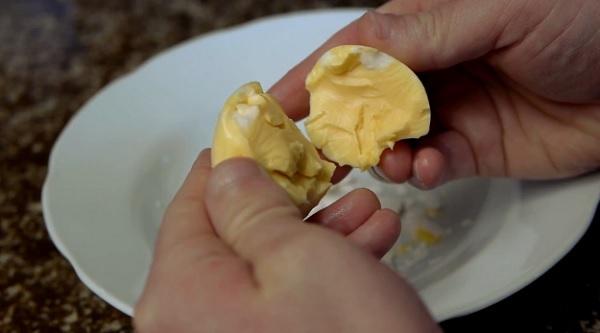 YouTube channel Nighthawkinlight has created an instructional video that teaches you how to scramble hard-boiled eggs inside their shell. 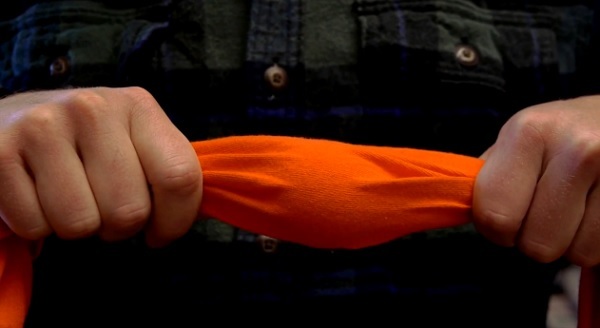 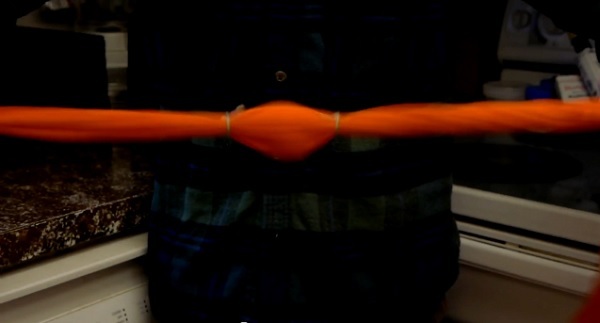 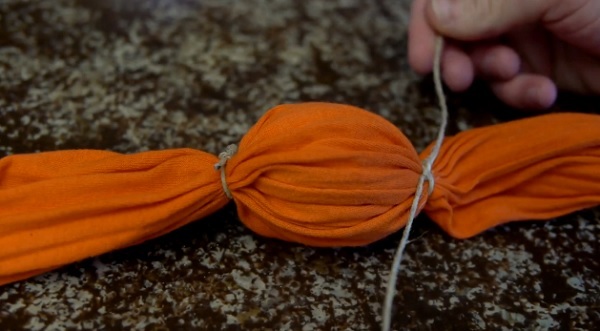 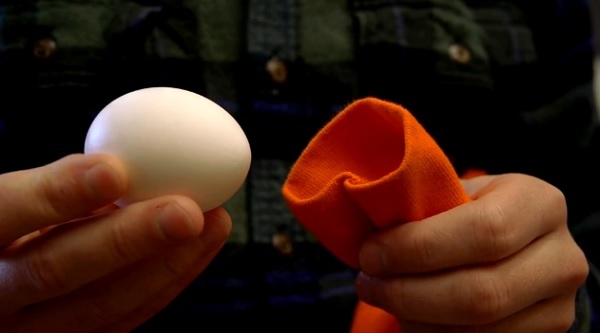 To scramble the egg, simply insert the egg into a sleeve of a long-sleeved t-shirt and tie both ends of the egg with a piece of string or rubber band. 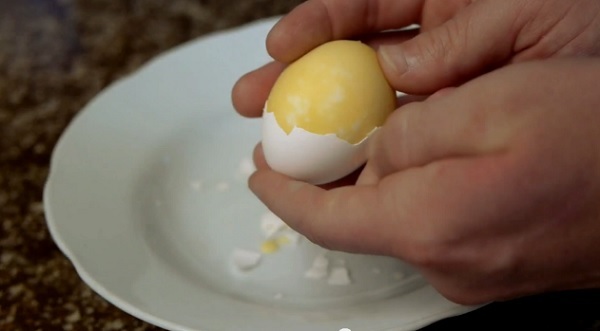 Next, wind the sleeve and spin the egg rapidly a dozen times—this will cause the egg to mix inside its shell. 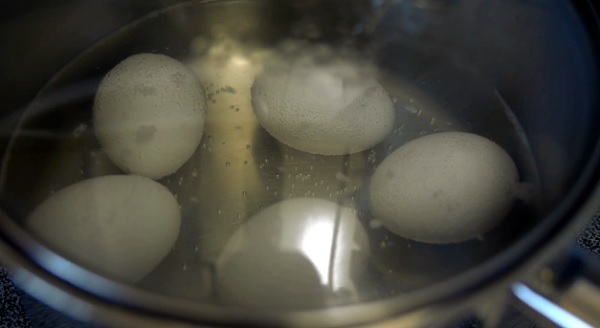 Finally, insert the egg into boiling water—and viola, you have a scrambled hard-boiled egg!